So, you’re coming to South Africa and you’ve decided to take a safari. Awesome! South Africa is known for it’s stunning landscapes, gorgeous local wildlife, and picturesque safaris. Although there are multiple places to do your safari, one of the most popular and outstanding is the Hluhluwe-Imfolozi National Park. The park itself is a game reserve, to the North of Durban. 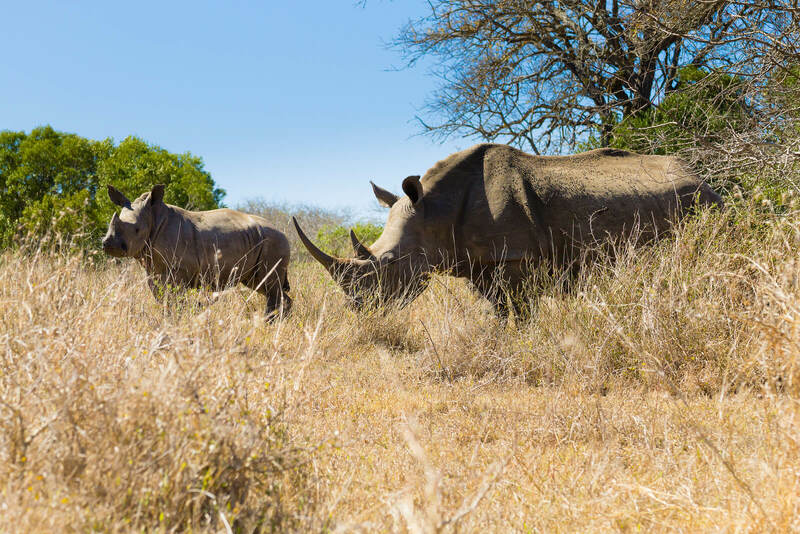 The park itself is full of wildlife, including Africa’s “big five”: elephants, rhinos, buffalos, lions and leopards, so you’ll be sure to have the full African safari experience while you’re there. The area also has some animals you might not expect, like wild dogs. It goes without saying, but make sure to bring your camera. You will need it. When you don’t have time to spend multiple days on a safari, and you plan to use your vacation on other things, a day safari is the ideal solution. Day safaris can be as short as 3 hours, and ensure that you can get the experience of a real African adventure without missing out on other things you might want to do on your vacation. Although most people envision their safari excursion in the back of a jeep or truck, boat safaris are actually a really great way to see the terrain, and Africa’s amazing wildlife. These safaris are an amazing experience, and we highly recommend them to anyone who has the time to really explore Africa’s wild side. These options range from one night to over a week, and are guaranteed to change the way you see the world. Being in the wild for over a week is the perfect cure to the ills of the modern world. For people who haven’t been on a safari before, it can be an intimidating experience. What type of facilities will there be? Is it safe? Is it worth it? Absolutely! Whether you decide to spend a few hours, or several nights, we’re confident that it will be an experience you’ll remember for a lifetime. You’ll get to see animals that you’d probably never see outside of a zoo, connect with the locals in a unique way, and feel more connected to the world. Although we can’t fully explain the experience, in general a few things will happen on your safari. You’ll meet up with other tourists at the headquarters, and depart from there. Safaris usually include meals in the cost, so your guides will prepare any food for you while you’re out, and you’ll just be focusing on having a great time. Other than that, your guides will take you to wear the game is, and there will be plenty of breaks for restroom visits, pictures, and rest. It’s a great time. Overall, we highly recommend a visit to the Hluhluwe-Imfolozi park. The safaris are out-of-this-world, and we doubt you’ll be disappointed.